HELPING MAKE 50 YEARS OF SUCCESS PAY OFF. 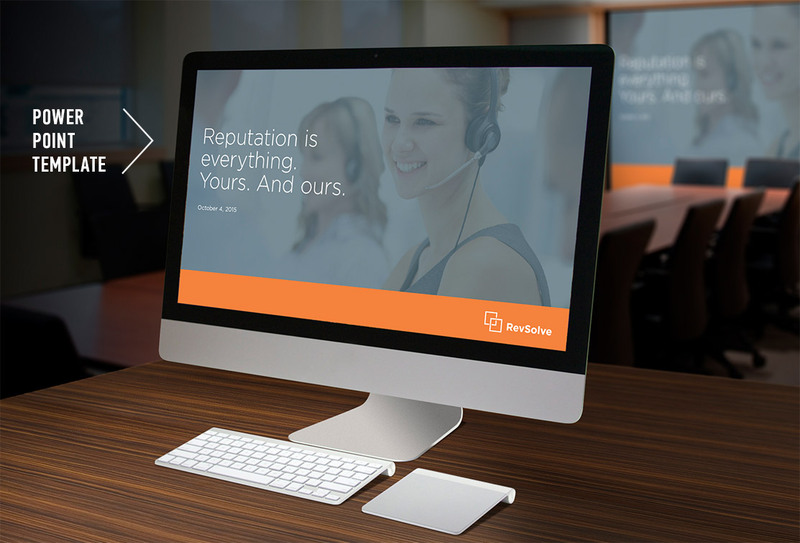 Over the course of five decades, Collection Service Bureau had built a reputation as a leading provider in healthcare revenue solutions. What they hadn’t built was a brand that reflected their hard-earned leadership position. So we developed a new name, logo, tagline and graphic approach. 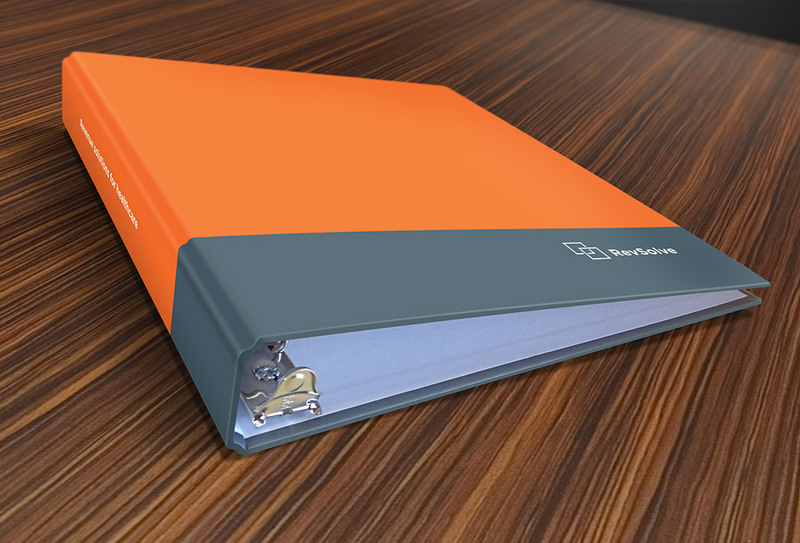 And applied them across a full suite of marketing materials — from website to business system to sales collateral. 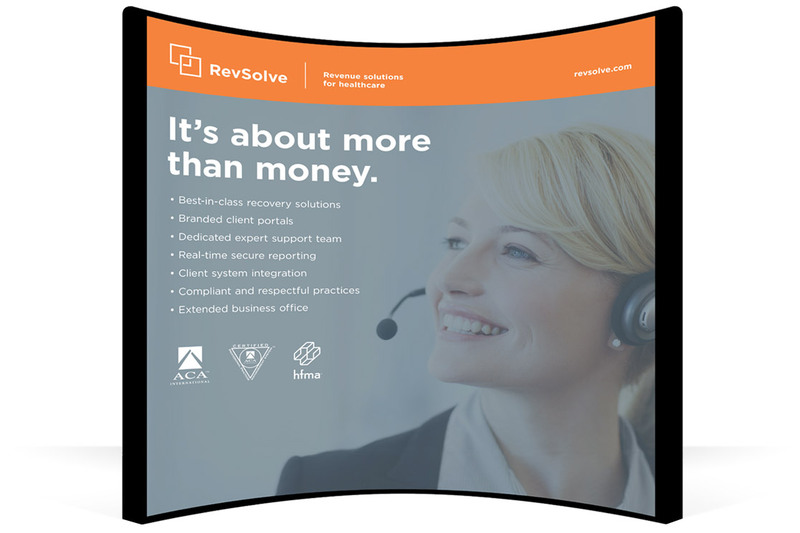 To modernize their name and re-energize their brand, Collection Service Bureau became RevSolve, a name coined from what it is they do: revenue solutions. 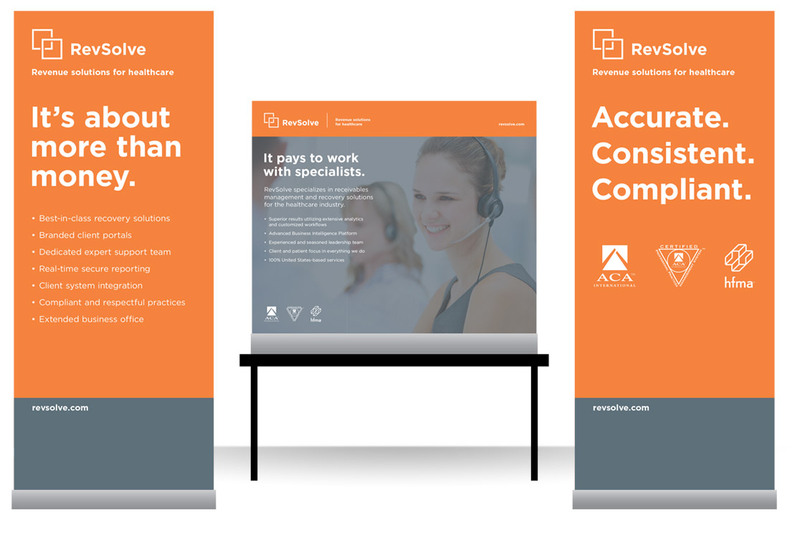 In conjunction with the new name, we developed a new logo—two square forms representing the ability of RevSolve to ‘overlay’ their clients’ brand onto their offerings so as not to appear as a third-party debt collector. 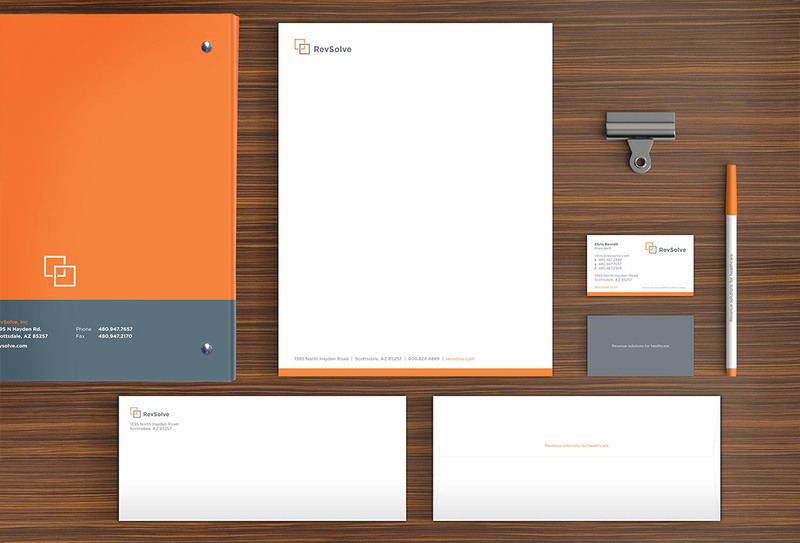 The color palette reflects a modern, professional entity while avoiding a trendy look and feel. 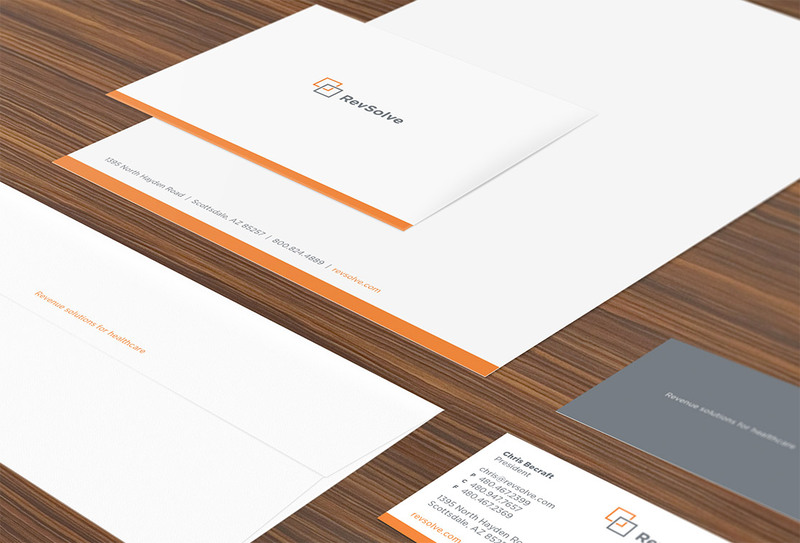 With new name, logo and graphic standards in hand, we then took to applying the new ‘brand standards’ to the number one point of contact with their existing and potential clients: the company’s website. 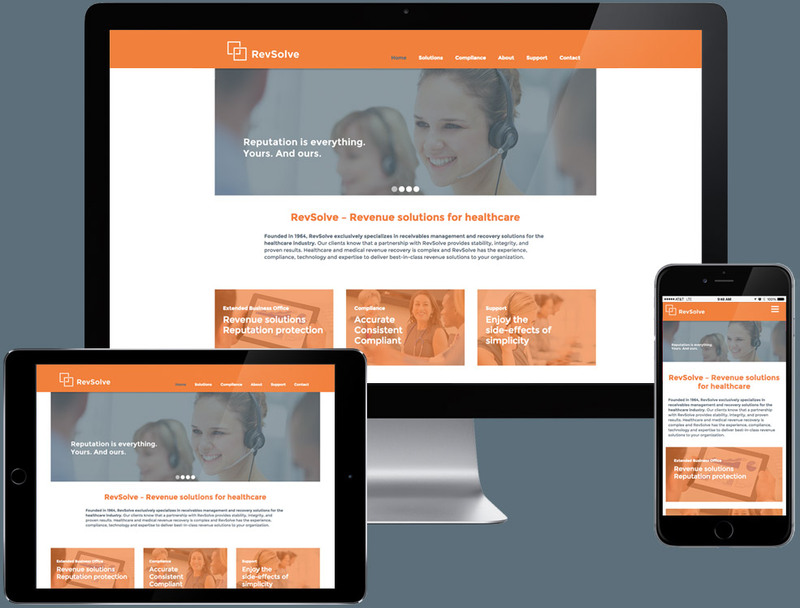 In addition to design, we modernized the user interface, undertook an SEO campaign and rewrote the website to better communicate RevSolve’s brand personality and to clarify their service features and benefits. Business-to-Business marketing in the healthcare industry demands strong presence at various trade shows throughout the year. 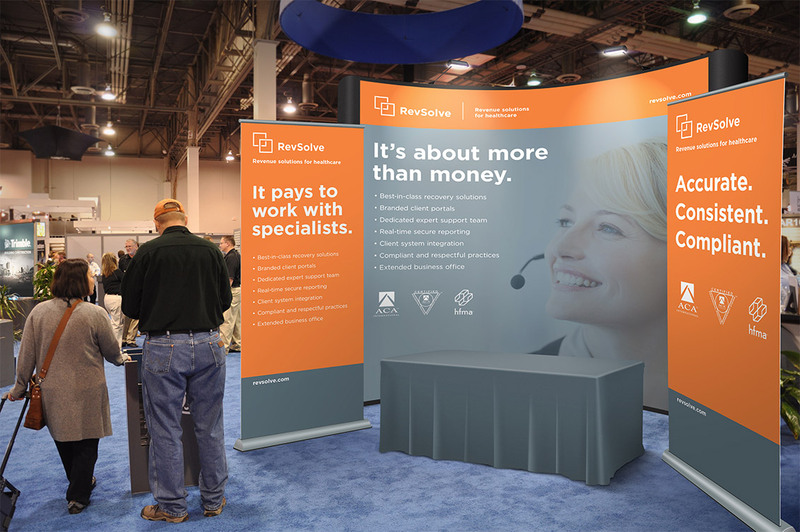 We designed the booth seen here, breaking down their multitude of features and benefits into logical and digestible panels of information, all working in concert the new brand guidelines.